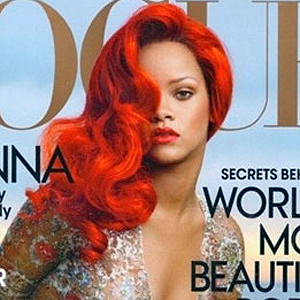 Rihanna on Vogue's Shape Issue Cover Shoot: What makeup did she wear? We all know "Rih Rih" loves her "Covergirl" makeup but do you really think that is what she is wearing for her "Vogue"cover shoot? I'll let you be the judge of that! Let your voices be heard, if you really care, and leave me your opinions, comments or LoL's!